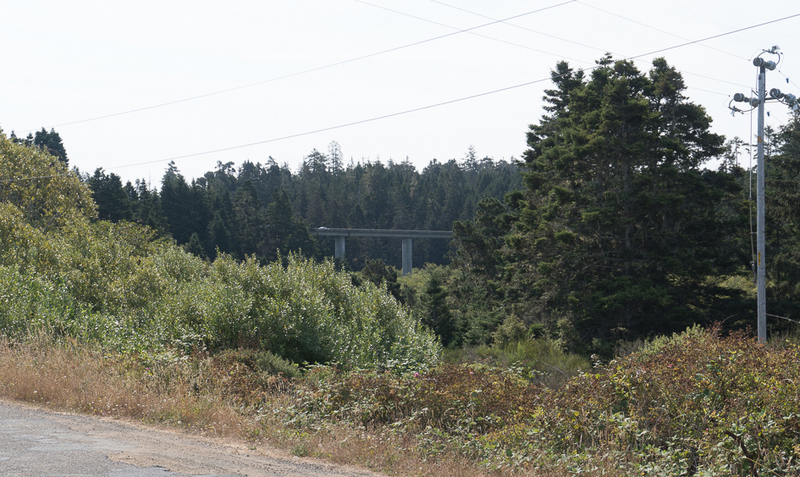 Continuing north on Highway 1 we moved away from the coastline and crossed over the Caspar Creek Bridge (10 0153), a seven span continuous prestressed concrete structure on single column bents. This bridge was built in 1966. 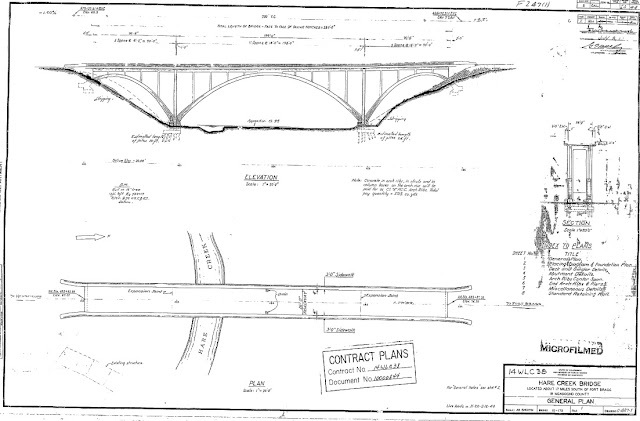 A little further north is the Jug Handle Creek Bridge (10 0154), a 388 ft long reinforced concrete bridge with a 210 ft long open spandrel arch span that was built in 1938. 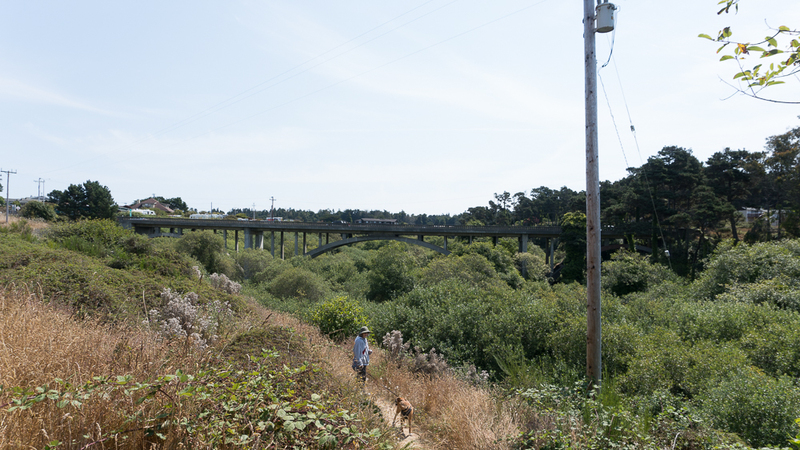 This bridge is farther from the headlands and consequently lower to the ground than last week's Russian Gulch Bridge. Finally, we parked at College of the Redwoods and walked to the Hare Creek Bridge (10 0175), another 388 ft arch bridge (that was built in 1947). However, the Hare Creek Bridge has a full arch for the main span and two almost full arches for the side spans (see General Plan below).